Stainless steel bracket 2 pieces in brushed finishing. 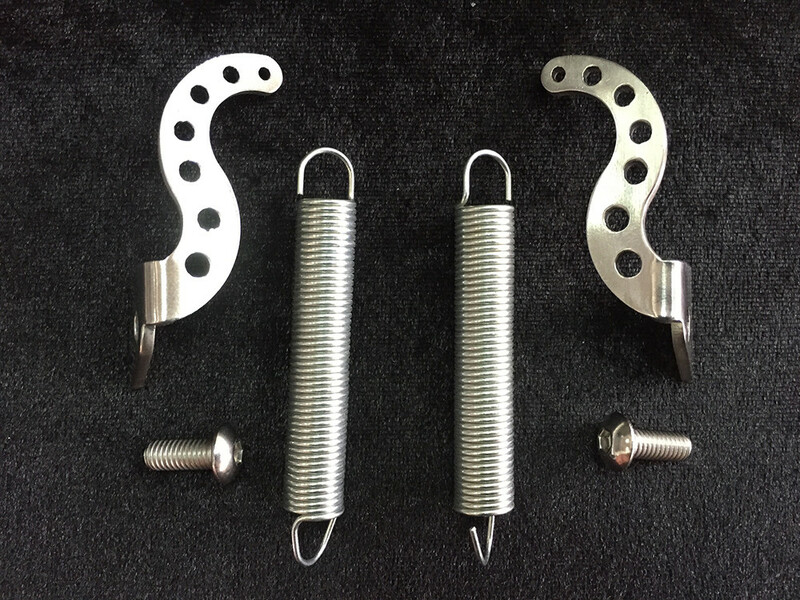 Stainless steel return spring, can be cut to desire length for pedal pressure. M5 botton head cap screws 2 pieces.